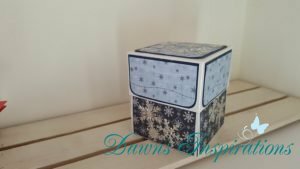 This is a video tutorial to show you how to make an exploding box with a difference as inside is a 3D Christmas Tree with lights! 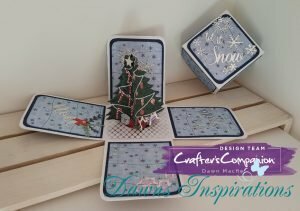 This is very easy to create using the Christmas Tree Dimensional Dies from Crafters Companion. so why not give a Card with a difference this Christmas.